dimmable drivers. The special optical defuser produces high lumen transmission and even illumination. Suitable for Wet Locations. 20-gauge CRS mounting ring, painted black. 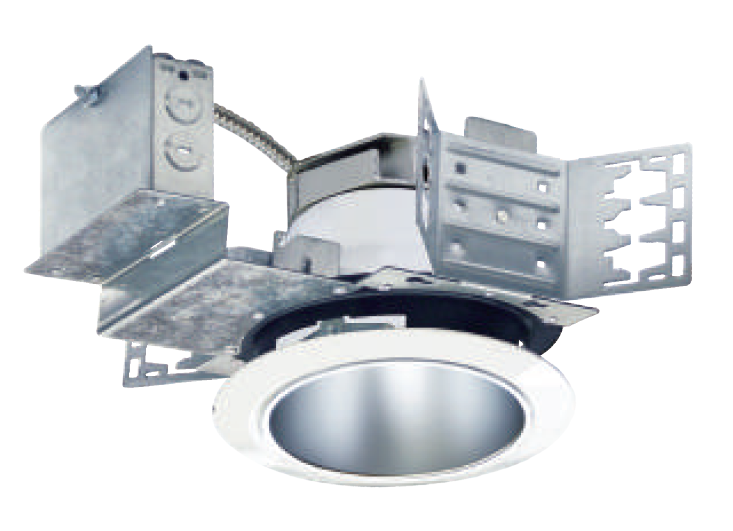 The 1-5/8” deep collar may be used with various ceiling material thicknesses. Universal, 120~277V input, high efficacy drivers with dimming capability by ① a Triac 120V low voltage electronic dimmer switches or ② 0-10V, Triac & ELV dimmer switches. • Drivers feature power factor >.90, THD <20% with integral thermal protection to sense over temperature or electrical issues. • Driver mounts externally to the module to allow future replacement or upgrading if desired.